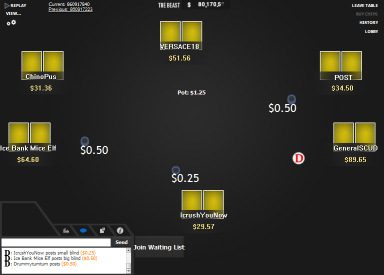 This theme is very clean looking without any unnecessary visual distractions. 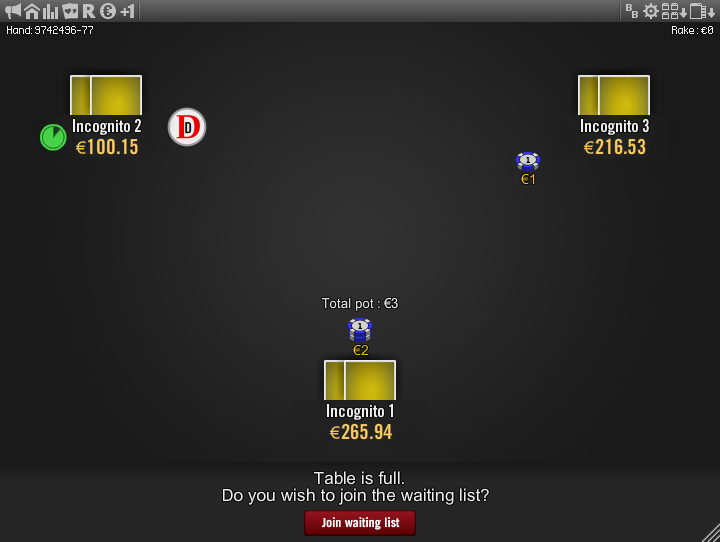 The main thing that is “missing” is the image of table, which makes the whole window look like a table and there is no need for an additional table image. 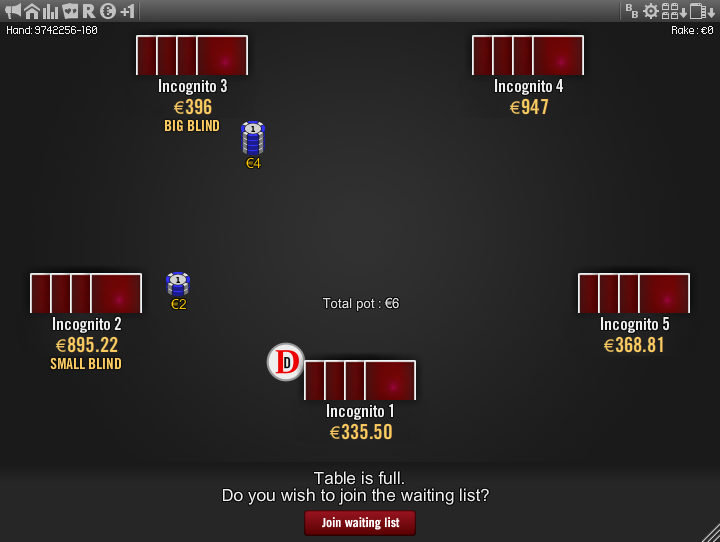 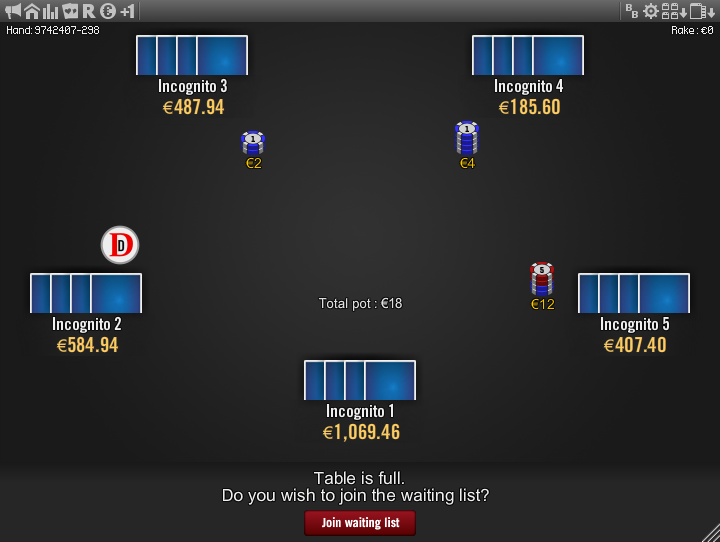 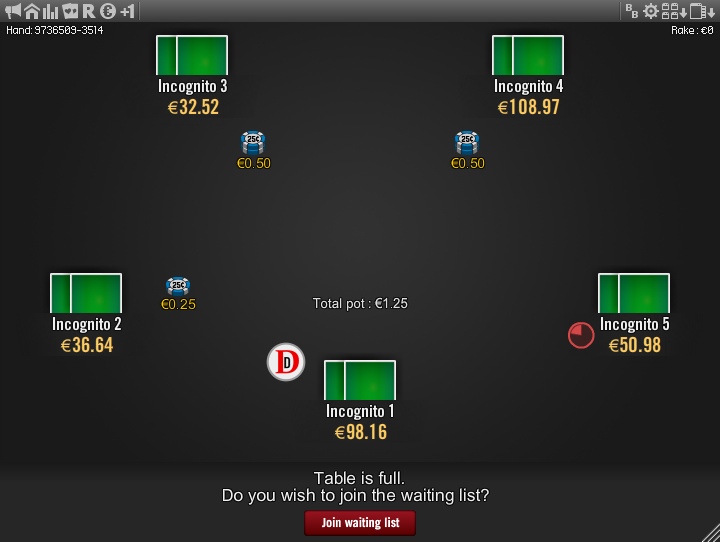 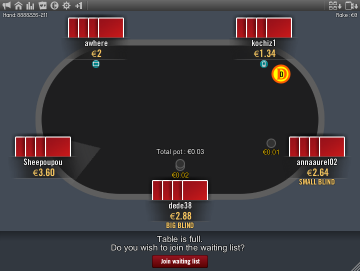 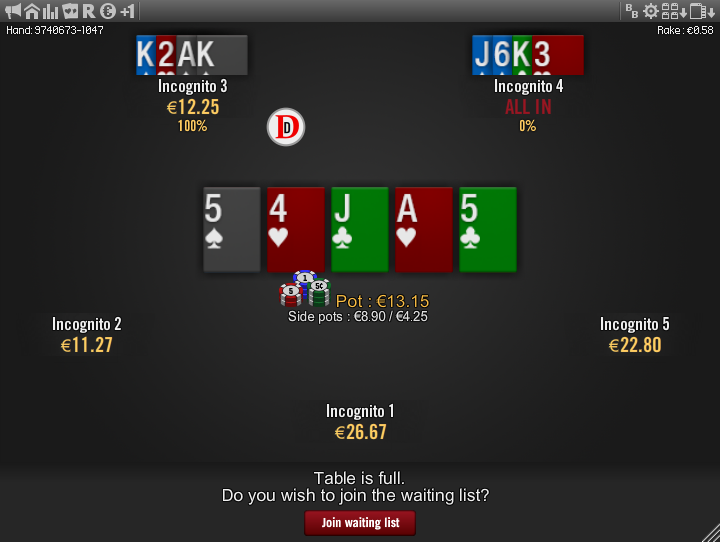 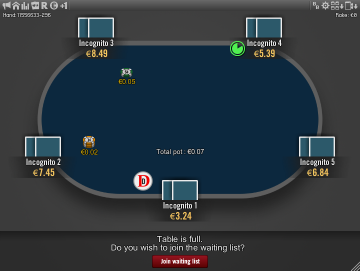 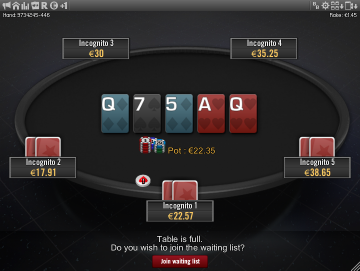 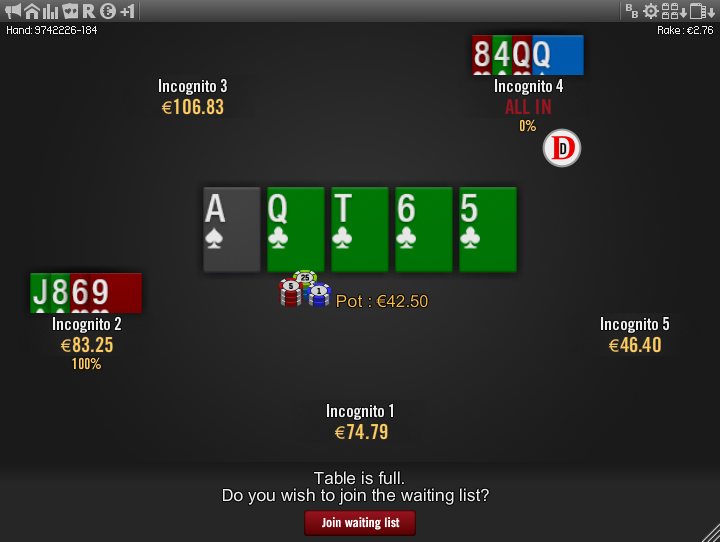 The background colour can be changed from the “Table preferences” menu on the table by choosing different colours. 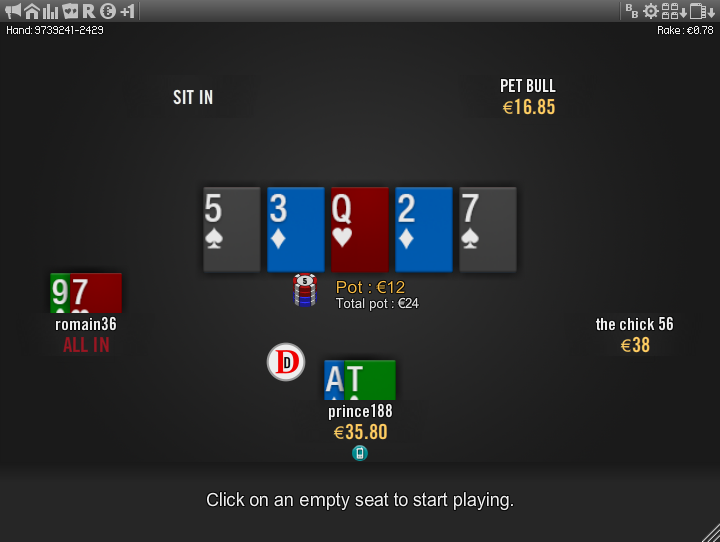 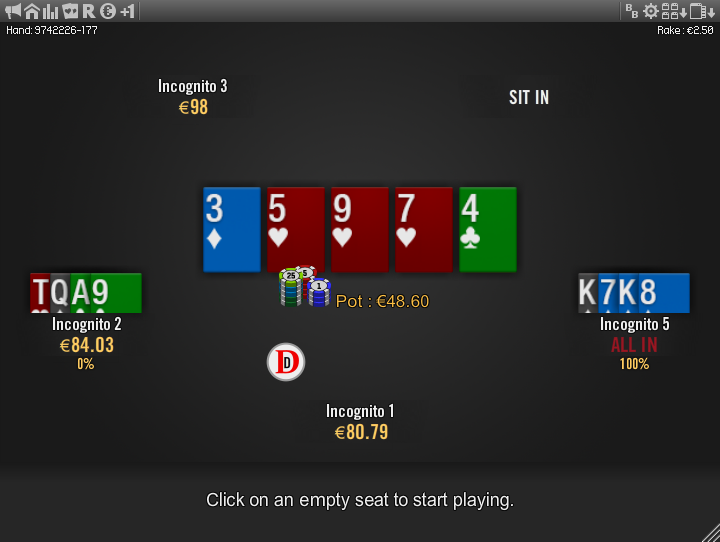 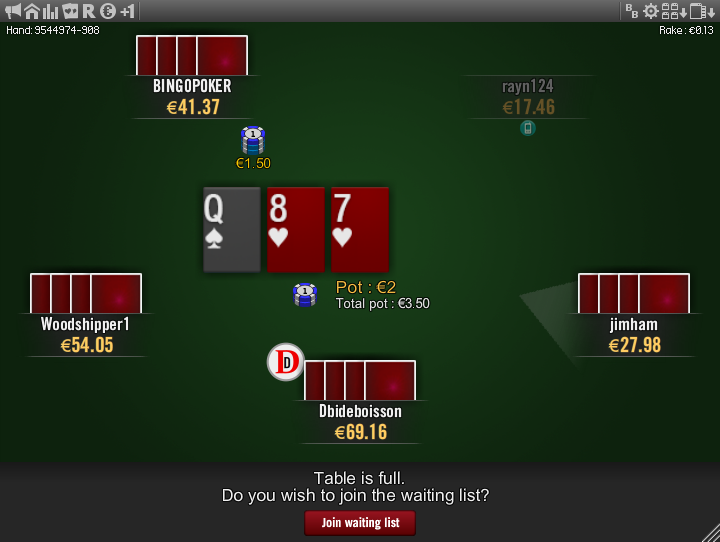 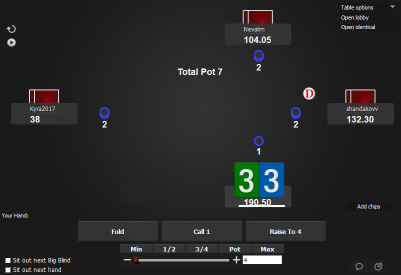 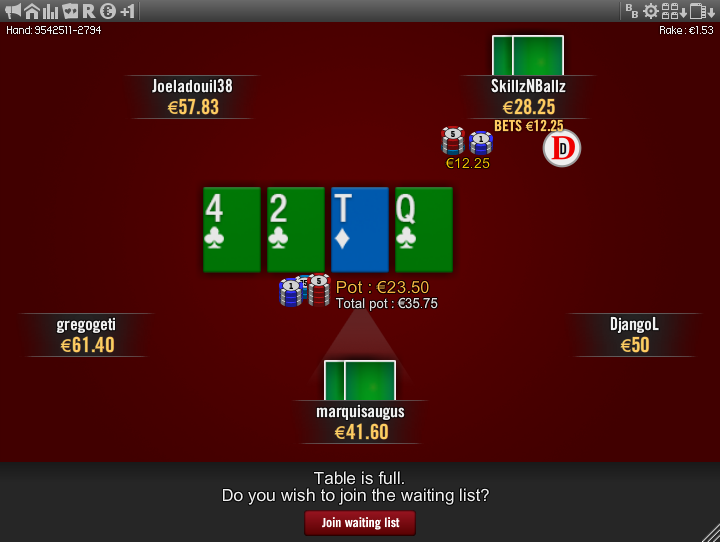 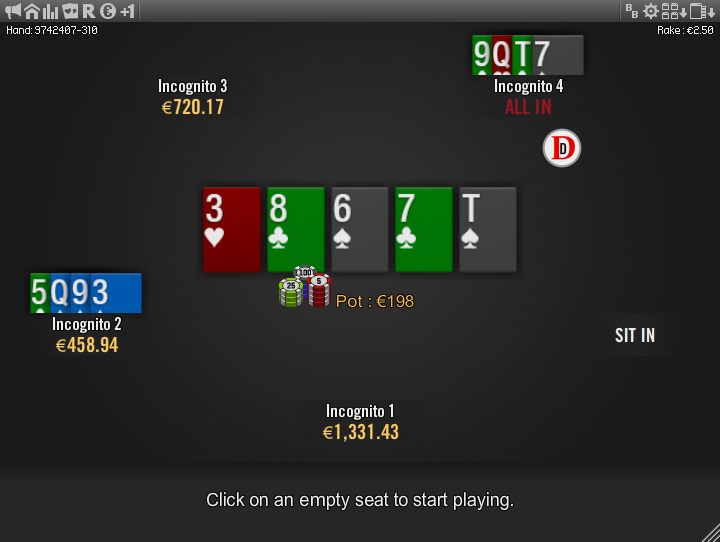 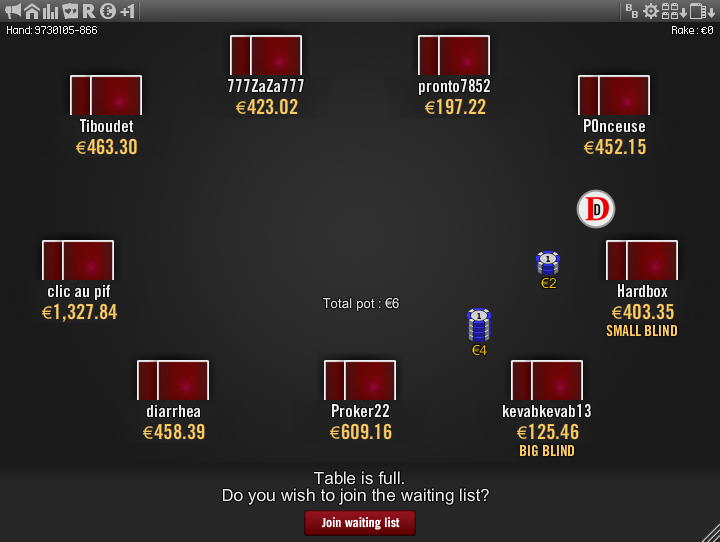 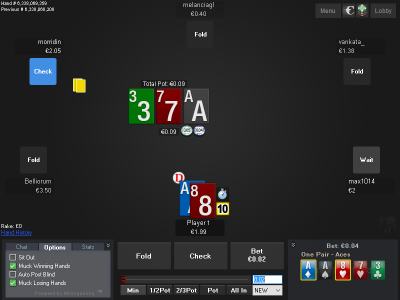 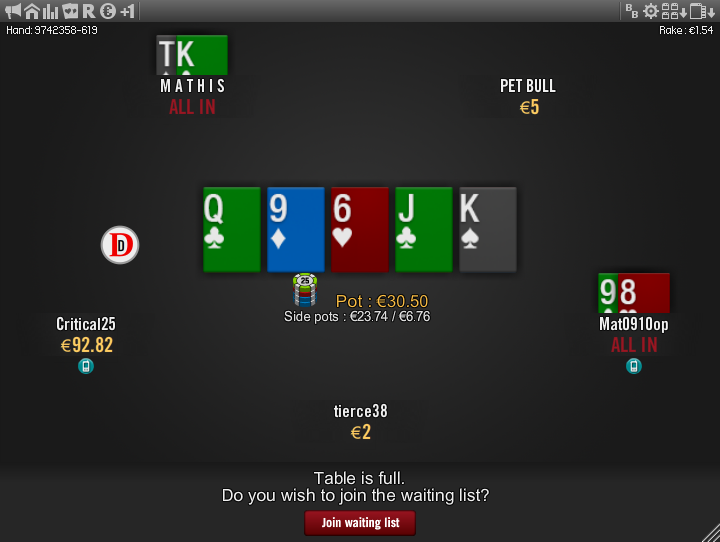 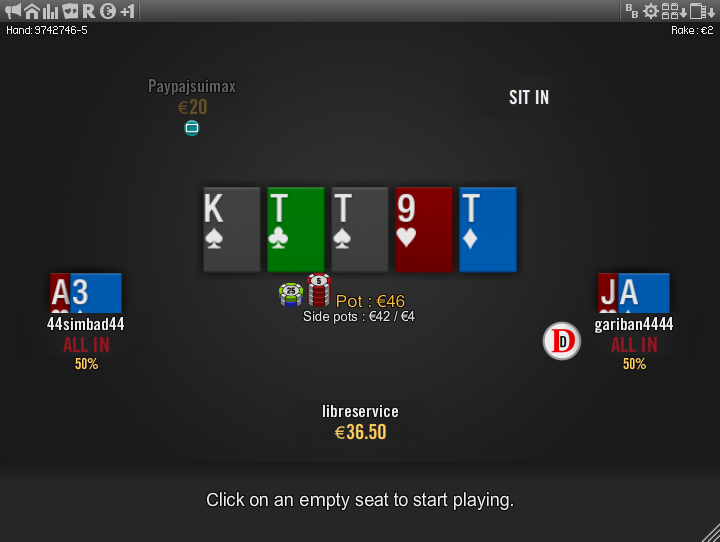 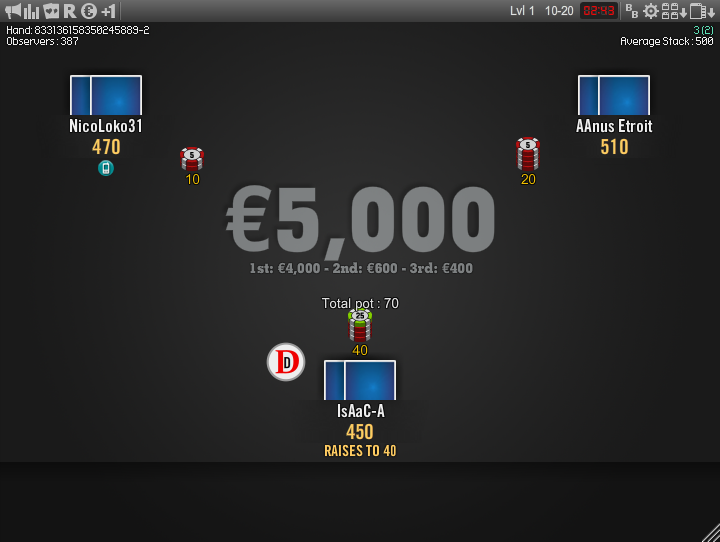 The cards are very clean, which makes it easy to read your hand and the board on both Holdem and PLO tables. 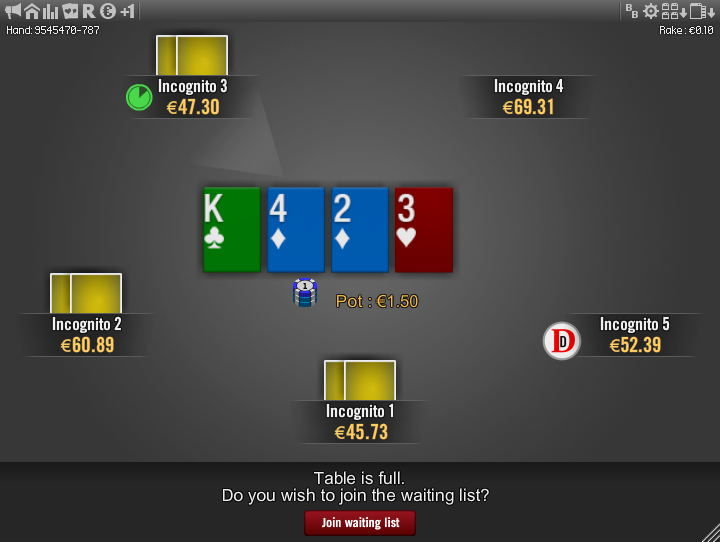 There are also 4 different card back colours to choose from. 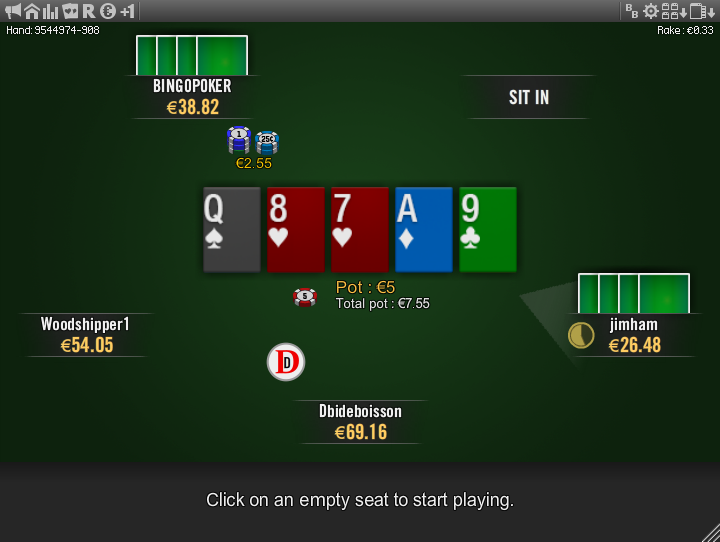 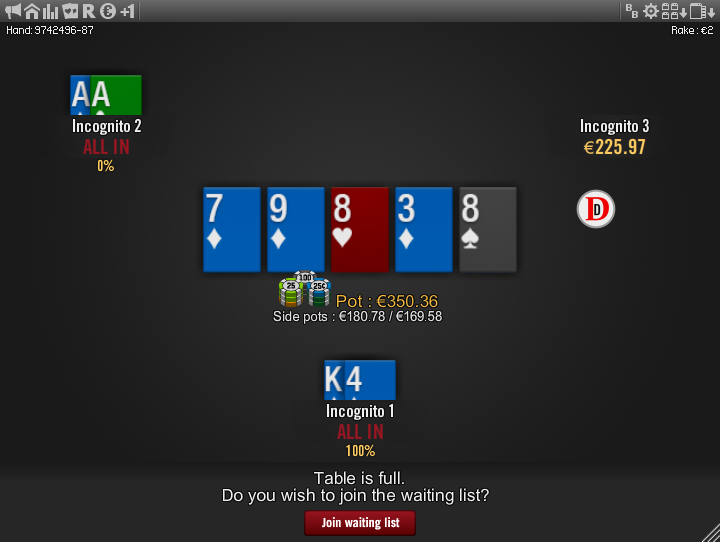 The dealer button is big and white, which contrasts well with the darker backgrounds making it easy to spot. 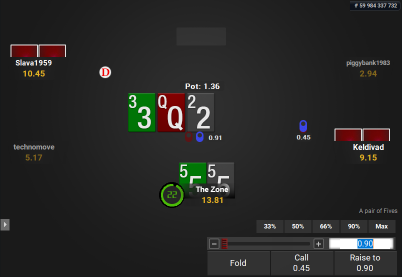 This is the theme that helps you be in the zone while playing poker. 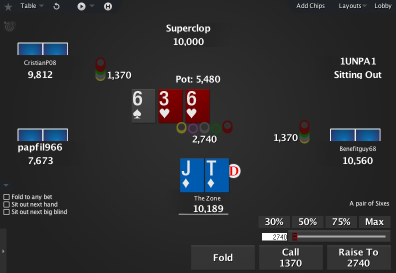 If you also want it for other sites, check out the The Zone Bundle.